He said the kind of expertise they had in completing the task of cutting the ATM within 15 minutes definitely points to some kind of professionals involved in the heist. KOCHI/THRISSUR : A special team was formed on Saturday to hunt for the inter-state seven-member gang, suspected to be behind the ATM heists which took place during the early hours of Friday in Ernakulam and Thrissur districts. The robbers made a failed bid at ATMs in Kalamassery and Kottayam. As per the preliminary details collected by the police, the gang had done an extensive recce of the ATMs before targeting it. Latest CCTV visuals collected by the police reveal that a seven-member gang was spotted leaving a school premise with bags. The same gang reached Thrissur railway station from Chalakkudy railway station before boarding Dhanbad-bound express train. 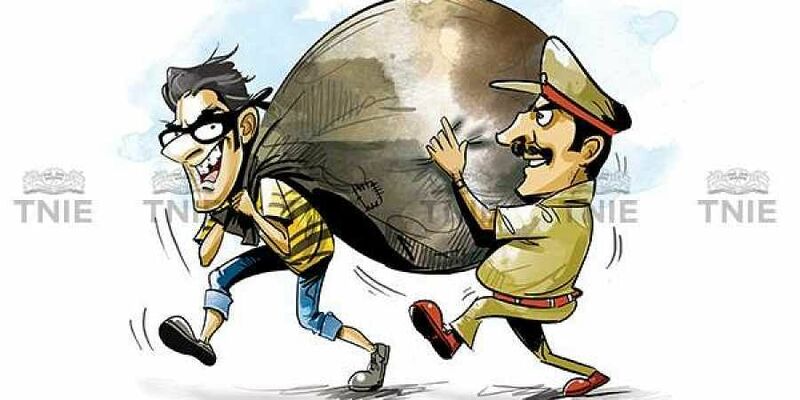 Thrissur Rural SP M K Pushkaran said forensic reports along with the CCTV footages would be handed over to National Crime Records Bureau for verifying the details of the suspects. “We suspect the gang members hailed from either Uttar Pradesh or Bihar. Four special teams have fanned out to various destinations which included Tamil Nadu. After assessing the progress of the case, the investigation would be expanded to other states, if needed,” he said. He said the kind of expertise they had in completing the task of cutting the ATM within 15 minutes definitely points to some kind of professionals involved in the heist. Police officers said if the robbed amount was in the denomination of new Rs 2000 notes, it will be easy for them to carry it. Reportedly, the Chalakkudy railway station lacked CCTV cameras and the police weigh the possibility of robbers selecting the particular station to flee the state.